Received on April 03, 2018. Subject to change. In the hospitality industry Peter Jo is better known by his nom de plume, Kimchi Pete. 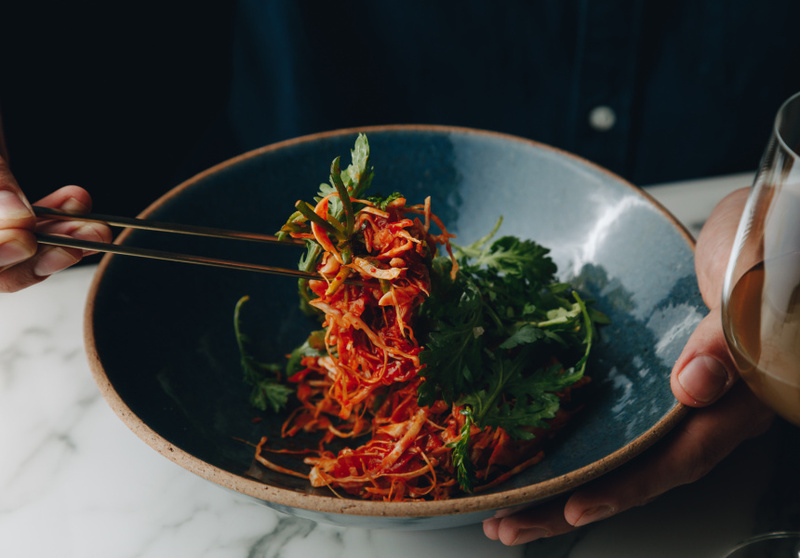 In 2016 Jo started a weekly pop-up series called #DinnerByKimchi where he experimented with Korean cooking techniques. 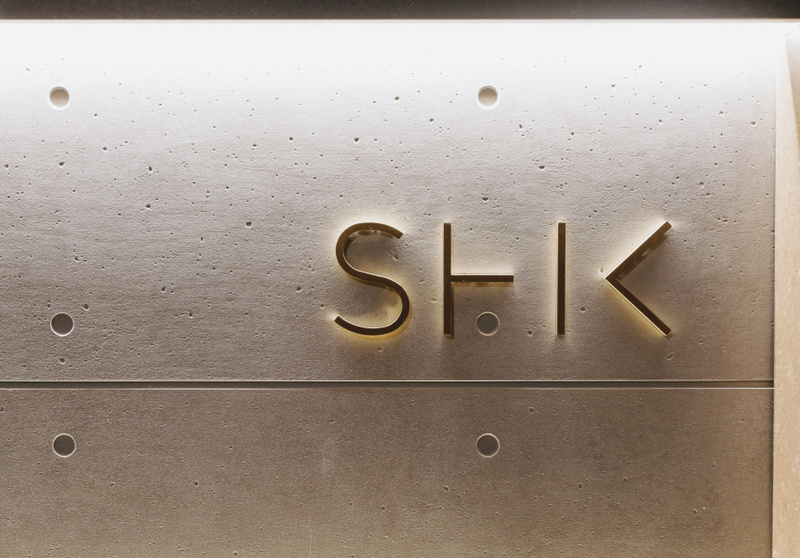 Which brings us to Restaurant Shik, his 65-seat, inconspicuous, dimly lit, L-shaped restaurant. The tight menu is broken down into entree, grilled, braised and banchan (sides). There’s a lot of meat on there – in fact, there are no substantial options for vegetarians – but few familiar dishes. The seasonal kimchis have included fennel and coriander, beetroot and watercress, brussels sprouts, and persimmon. And the three-strong jangajji (pickled vegetable) selection includes perilla leaf, green tomato and Korean cucumber. Jo works mainly with secondary meat cuts because he thinks primary cuts are boring. Flamed on the grill, there’s a Wagyu intercostal, a Rangers Valley beef short plate (the part of the belly right under the guts) and kimchi-marinated pork neck, each served with a banchan or two, leaves and ssamjang (a sweet and spicy paste). Emerging from the braising pots are Cloudy Bay clams with soy-bean sprouts and water parsley, pork belly, lamb ribs, and blue mackerel with chrysanthemum leaves. Start with something raw, such as the traditional Korean version of beef tartare, yookhwe, with witlof and Korean pear, or pickled soy mussels with papery rice crackers, before moving onto pig-skin terrine served on sticks of garlic chives, and a plate of thin pork-and-kimchi pancake triangles. 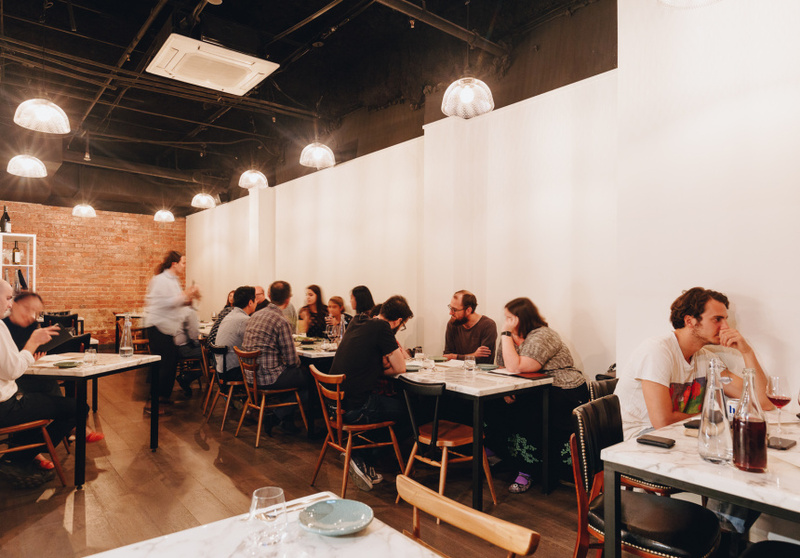 The 60-bottle wine list is almost entirely natural, to complement the flavours of the food, mostly Italian and French, with several German rieslings and Australian pinots in the mix. Shik also stocks three types of the spirit soju distilled the traditional way, using rice.